Oddnes, až do 25.2.2014 môžete na tomto blogu súťažiť o kozmetický balíček Lancôme, ktorý obsahuje maskaru Hypnôse, ceruzku na oči v čiernej farbe, pleťové serum Advanced Génifique a na vyskúšanie parfum La vie est belle a krém Rénergie Multi-Lift. Zúčastniť sa môže každý. Po splnení dvoch povinných pravidiel (sledovať tento blog a zanechať na seba email) sa vám vo formulári Rafflecopter otvoria ďalšie okienka, ktorých vyplnenie je nepovinné, ale pomôže vám vyhrať kozmetiku Lancôme. 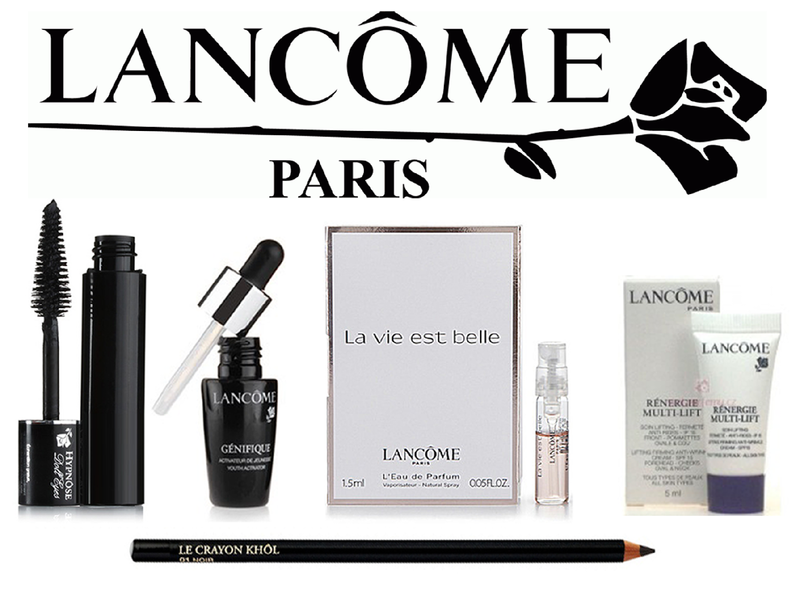 From today until 25.2.2014 you can compete on this blog for Lancôme beauty package that includes Hypnôse mascara, black eyeliner, facial serum Advanced Génifique and for the test the perfume La vie est belle and cream Rénergie Multi-Lift. Giveaway is open for everyone and has two mandatory rules (follow this blog and leave email to yourself). Once you leave in the form Rafflecopter these details, you´ll be able to increase your chance to win by fullfill another windows, which are an optional rules, which will help you win the Lancôme cosmetics. OMG Thank you so much for the awesome giveaway! I've always wanted to try Lancome products but I don't know which one to go for. If I have the chance to win, I would offer the prize to my mother...it s her birthday! Great an very nice giveaway and I do enter! I've always wanted to try Lancome products. Wow there are already so many entries !!!!! Výborné články o kvalitní kosmetice! OMG! Thank you 4 this giveaway. thanks for wonderful contest and wish to win this lovely hamper and became lancome girl. Sleduji jako Sedmikráska. Mail: USedmikrasky@seznam.cz. Tak úžasná giveaway!! :) a ještě otázka můžu se přihlásit i já z Čr? Pokud ano tam tě sleduji přes GFC jako Katherine H.
Great Giveaway .. Thank you so much ! !